Social Networks are a great way of connecting people who share the same interests and encourage community discussion. Thinking that this may be a great tool to connect its more than 200,000 members across North America the Sigma Chi Fraternity (of which I’m a member of ) decided to create a community for its members where they can interact and connect. Hosted by Affinity Circles its a pretty robust system that allows interaction at many different levels and members are able to form their own groups based on location or interest. Its a great tool and it would be very useful in achieving its purpose… if someone actually used it. As a an active member there was no discussion of this site within my chapter or when meeting members from other chapters, I only came across it when searching through Sigma Chi’s central site. Because no one was active on it and because there was no real life connection or use for it this network was empty and barren. 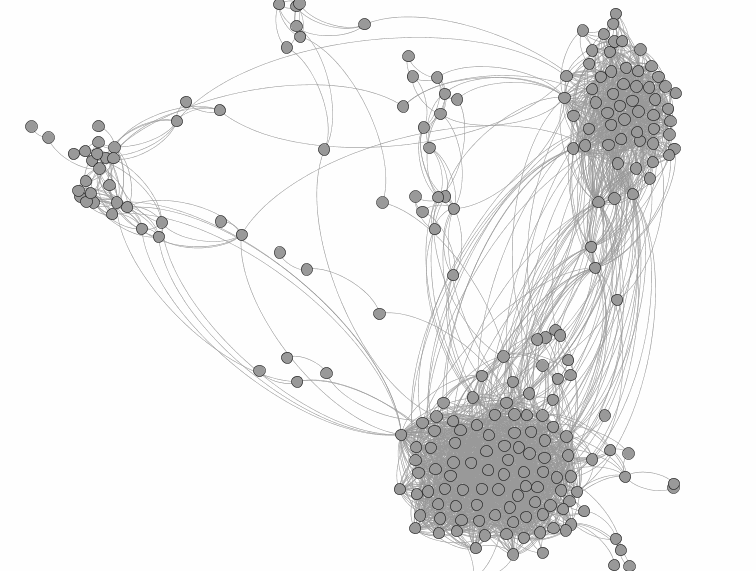 Instead members have reverted to using larger networks such as Facebook to connect. The downfall with this is that disparate groups are made instead of gathering the organization together as a whole. Well the headquarters staff is trying its best to . At a recent Fraternity meeting this past weekend they launched a new network with toned down features and a simpler interface hoping that it will appeal to both younger and older generations. While this may address some issues in the end I feel it won’t fix the larger issue of participation. The new network. Simplified and waiting to be used. Community leaders: By getting volunteers ( either chapter presidents or designated geographic community managers) to actively use , connect, and discuss this site becoming evangelists for this initiative the hope will be to get people talking about it once again and encourage its use.By building its use in day to day tasks for active/alumni chapter operations or as a space for organizing events and initiatives among members, users will have a reason to return on a more regular basis and will come to associate the website as the space for Fraternity information/news . Creating a Hub: Another important piece to this new site is making sure that it offers something that other social media sites such as Facebook and Twitter don’t . A big part of this in my opinion is having a central interaction point. While Sigma Chi has a central website, by creating a page where news and events from the fraternity as a whole are posted members will come to this page to keep up to date with whats happening within the fraternity . This can be as simple as a weekly blog posting or advanced as a news feed where members can recieve news and updates from the entire site or just the networks they are involved in. Connecting Content : Bringing in and organizing the content located on other sites will be a good community building tool as well. There are many facebook groups, flickr feeds, Youtube videos and blog entries related to Sigma Chi scattered across the net. Allowing members to either link or post this content up will encourage interaction and discussion. While this may be a bigger undertaking I also feel posting up materials such as pledge manuals, historic pictures and other memrobelia on this site will also build increased value with network users. These are just a few points that I feel will help to ensure that this new site doesn’t go to waste. There will be a lot of work needed to build interest and to ensure the usability of this network. I’m curious to hear more about people’s experiences in building community and thoughts of how one can be started/restarted. Feel free to post your thoughts/ideas in the comments section below. Have any questions/comments ? Contact me at kevin.richard@ryerson.ca or send me a twitter message .